IT IS NOT by chance that the lingerie chains of two of the leading apparel distribution concerns in Europe have achieved the fastest growth rates in their respective groups, as reported in this week’s issue. In comparison to smaller chains and independent specialists, larger and more powerful lingerie chains have the means to secure the most desirable locations and, as all retail professionals know, location is the decisive element in the retail mix. Other advantages enjoyed by larger lingerie chains include greater clout with their suppliers, larger resources to devote to design, product development and supply chain management for their private labels, and the means to hire the best specialists to develop their online stores. Though most have not yet done so, they also have the capacity to provide a quality of counselling and fitting service equal to that of all but the best independent specialists. While the best of these will continue to prosper, it is probable that large chains, and their online stores, will continue to win market share for many years to come. SINCE an increasing number of linen fabrics now feature characteristics that make them suitable for intimate apparel end-uses, which marks a return to historical traditions, fashion information from the European Confederation of Linen and Hemp(CELC) assumes some degree of significance for the bodywear sector. On the occasion of the Première Vision salon, that opened as we write this, the CELC released details of its colour proposals for 2016. 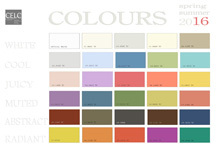 Click here to view a detailed description of the colour trends. 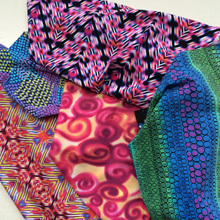 Although some of the trend boards relate more closely to other end-uses, others illustrate colour trends that could be significant for designers of intimate apparel and suppliers of fabrics. SPEAKING at a press conference organized by the company during the Première Vision and Texworld salons in Paris, Lenzing CCO Robert van de Kerkhof said that the use of Tencel fibre for knitting was a particularly exciting current development. While Tencel promotion to date had focused mainly on woven products, new finishing processes and special Tencel fibres had opened up tremendous potential for the fibre in the knitting sector. 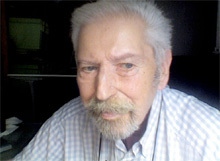 His comments were made in connection with the completion and start of production at the world’s largest Tencel plant in Lenzing, which represented an investment of EUR 150m and, with an nominal annual hcapacity of 67’000 tons, produced four times the volume of fibre as the largest previously existing facilities. Click here to access more details of the presentation. 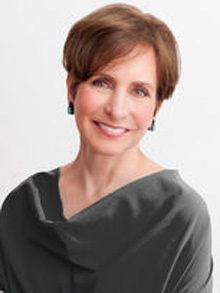 Given time, it is possible that Tencel will join Modal, also produced by Lenzing, as one of the most appreciated fibres used for production of intimate apparel fabrics. 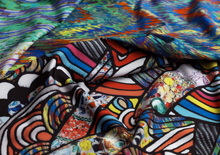 LEADING Italian producer of bodywear fabrics Piave Maitex revealed details of the new collection of swimwear fabrics for S/S 2016 that it is preparing to launch at the MarediModa salon, in Cannes from 11 to 13 November. In addition to three new printed themes, the collection features two important technical novelties. The first is the Body One Swim band, which simplifies the production process and lowers costs for manufacturers. The second is the 4862 fabric, which features an innovative blend of PP and PA fibres, combining the different advantages of both. 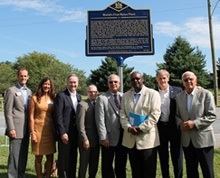 Click here to access more information in words and pictures. The novelties being launched for S/S 2016 bring further variety, in terms of aesthetics as well as of technology, to a product range that ranks among the richest and most varied on the market. A SUPPLIER to the bodywear supply chain through its Dream division, Miroglio Group has launched a new package of services for the textile/apparel sectors worldwide. Named Miroglio Industrial (Mind), the integrated supply chain management packagecovers every aspect of the apparel production process. It starts with services covering raw materials supply and spinning, covers every aspect of woven or knitted fabric production and offers apparel production and distribution services ranging from product design and pattern making through to assembly, quality control and delivery. All services are backed by the group’s broad range of quality and environmental certifications. As the largest textile/apparel concern in Italy, and a European leader in logistics and supply chain outsourcing, the group’s combined skills and know-how can be relied on to provide a service of high quality. DESPITE a slight decline in sock sales, by 0.3 per cent to EUR 30.9m, during its 2013/14 fiscal year, the 4.7 per cent rise in sales of children’s shoes, to EUR 12.5m, allowed Kindy to predict a move back into positive operational results. The only modest decline in sock sales in a trading environment that was distinctly gloomy was largely due to the good performance of the Thyo brand of sports socks as well as to the growth of online sales. 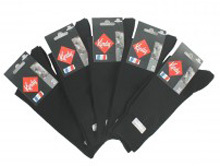 The stronger demand for the Thyo range suggests that the company could gain from the development of new brands of functional socks for a broader variety of end-users. SALES of the Lafuma sports equipment business, in which it acquired a majority stake last year, contributed to the first half sales rise of 110 per cent, to CHF 197.4m, announced by Calida. Although sales of Lafuma declined by 11 per cent to EUR 85.5m, it produced an operating profit of EUR 1.5m against an operating loss, excluding exceptional one-off costs, of EUR 5m a year earlier. Sales of Calida branded merchandise rose by 1.5 per cent to CHF 60.2m as trade by its own stores rose by 5 per cent. Falling consumption in France slashed sales of Aubade lingerie by 4.1 per cent to EUR 26.9m as its wholesale sales slumped by 12 per cent and its own retail store sales rose by 4.3 per cent. Calida Group earnings in the first half rose by 17 per cent to CHF 5.2m. The return of Lafuma to operating profits has taken place earlier than expected, which is a tribute to the effectiveness of the restructuring measures taken by Calida. THE FAILURE of negotiations for rights to the label with Monette founder Assiya Hiridjee, who owns the brand name, has obliged the new owner of the failed company to prepare a re-launch of the business under a new label: Madame Aime. In every other respect, including positioning in the higher price market segment, styling concept and production in a French factory, the new brand retains the characteristics of the original collection. A first capsule collection is being launched for the pre-Christmas sales season, which will be followed by a full range for S/S 2015. A swimwear collection is to be added to the range for S/S 2016. A greater emphasis is to be placed on the fashion outerwear range and the opening of concept stores to carry the full product range is being considered. Since an e-commerce specialising in gifts for women already exists under the Madame Aime brand, a further change of label could be made before the re-launched merchandise reaches retail stores. CALIFORNIAN retail store Sundance Beach that has long sold swimwear and surfwear in the Santa Barbara area is to close its physical store and will continue trading only through its online store. The decision reflects the growing volume of sales being made online and a desire to expand the customer base on a worldwide scale. The existing warehouse in Goleta is being retained to serve as a logistics centre. General Manager Anthony Estrella commented: “We’re thrilled to have the opportunity to provide our brand of curated surf and beach lifestyle products and excellent customer service to the global community. We will continue to offer the best swimwear, clothing, footwear, and accessories from the industries top brands while maintaining our Green Business certification and continuing our philanthropic efforts throughout the region”. This move illustrates the extent to which the growth of e-commerce in the bodywear sector is influencing strategic decisions by retailers. INDIAN online store Zivame, that recently launched its first private label bras, has now begun to advertise on TV for the first time. In addition to promoting the service, the campaign is conceived to encourage women to break away from the taboos and misconceptions relating to lingerie that still exist in India. It features Indian women of different age groups and walks of life in various real-life situations. The fact that it is still difficult to find even professional models in India who are prepared to do lingerie shoots is an indication of how coy indian women remain regarding lingerie. This TV campaign, and others that will surely follow, will help to create a more relaxed attitude, which will benefit all lingerie brands selling in the country. MAINTAINING its expansion outside the US, functional underwear chain Under Armour opened its first online store in Germany that will serve also consumers in Austria and the German-speaking cantons of Switzerland. The new store will offer the brand’s full range of apparel and accessories for men women and children. It is to be supported by a new logistics centre due to open in Munich in the first quarter of 2015. Further expansion moves into Europe include the launch of a French online store in the near future. Having achieved a dominant position in the US for most of its products, the chain is now focusing its efforts on international expansion, a field in which it is achieving rapid growth. For several years, analysts have been predicting an early end to the chain’s rapid expansion and generous margins. But the less than perfect performance of the second quarter is likely to prove just a blip, as was the case with previous disappointing quarters. A RECENT report from Spanish distribution giant Inditex showed that its Zara fashion chain generated 64.3 per cent of total group sales of EUR 8.08bn in the first half of 2014. The report added that the group’s intimate apparel chain Oysho saw its first half sales rise by 23 per cent to EUR 187m, the fastest expansion of any apparel chain operated by the group. Launched in 2001, the Oysho chain now counts 549 stores in 40 countries. Though still a minnow in comparison with Zara, the Oysho chain’s growth rate makes it a key element of the future expansion of the parent group. 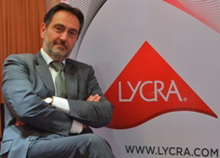 TEXTILE fibre specialist Invista announced the appointment of Paolo Briatore as Business Director Apparel South Asia and Managing Director of Invista India Sales & Service Ltd. Briatore has 20 years experience of the textile business in a variety of posts involving sales management in textile machinery, processing and fibre production. Invista says that the appointment highlights the importance given to the South Asia business by giving it a central platform at a global level. OWNER Fast Retailing, that is best known for its operation of the Uniqlo chain, announced that Nancy Pedot has resigned as Managing Director of its subsidiaries Princesse tam tam and Comptoir des Cotonniers. Ms Pedot, who joined Fast Retailing less than a year ago, said she was leaving to pursue other projects. THE ATTENDANCE growth achieved in September 2013, when the number of visitors to the Milano Unica apparel fabric salon rose by 6.5 per cent, was retained this year, when attendance at the 19th edition even rose again modestly, to 21’600. The progress was achieved as the number of international visitors rose by 1 per cent to largely offset the 0.5 per cent decline in Italian attendance. 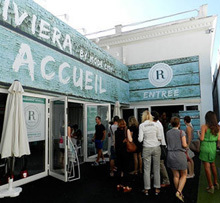 The rise in international attendance, despite the depressing economic situation in Europe, suggests that the salon is holding its own against ever stronger competition from Première Vision in Paris. 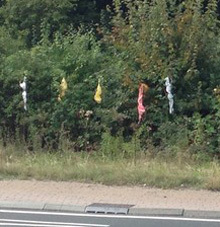 PEOPLE driving around the city of Lincoln in the UK earlier this month were puzzled by a quantity of coloured bras hanging from bushes on a roundabout (traffic circle). Extensive enquiries by citizens through social media failed to reveal who put the bras there and for what reason. Later, the police removed the bras but the mystery remains unsolved. The removal of the bras created yet another mystery: what did the police do with them?